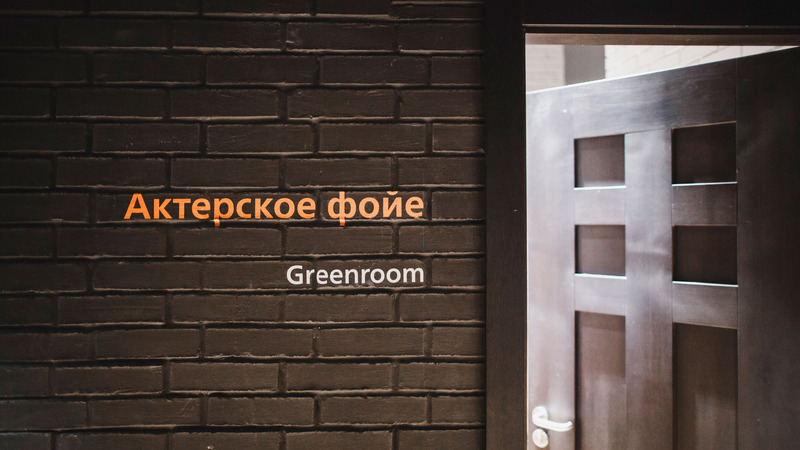 What is Voronezh Chamber Theatre? First of all it is 17 actors and 180 performances per year under the artistic direction of its founder Mikhail Bychkov. 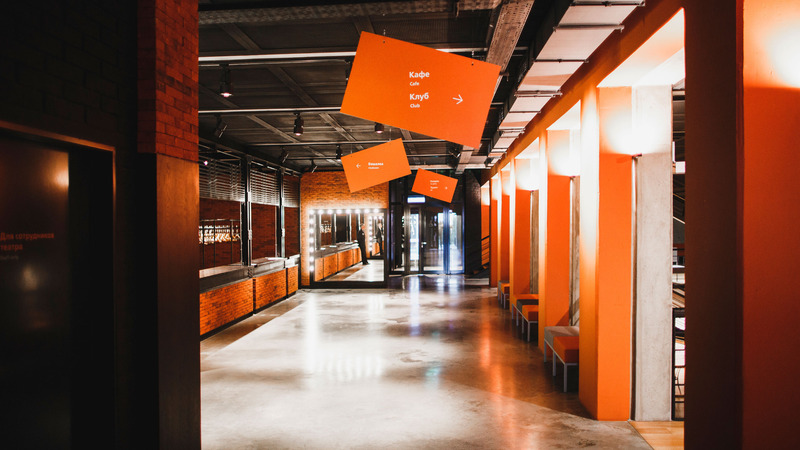 In 2014 the theater moved from rented premises into its own beautiful building. 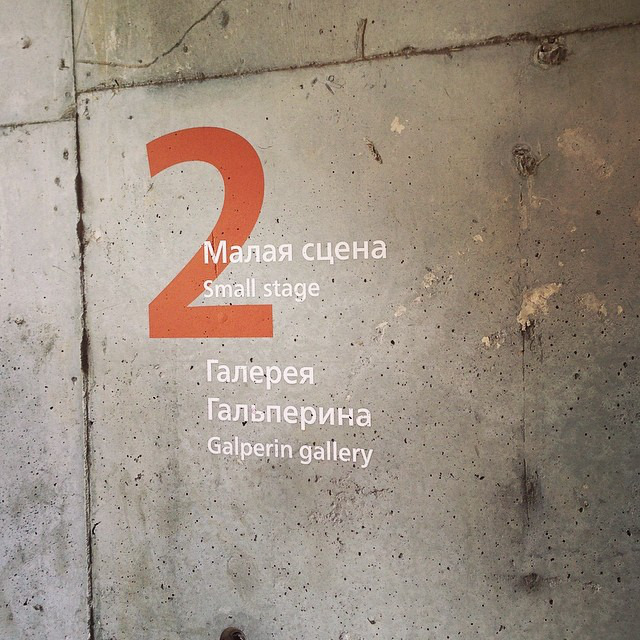 Our team was challenged to develop directional signage for the theatre. The result of our work is in front of you, the story about how we got to it is below. We used different approaches for the house and backstage areas of the theatre. When developing directional signs for the house we focused on the the theatre visitors including first time guests. The signs had to guide people who are unfamiliar with their surroundings quickly and with ease. 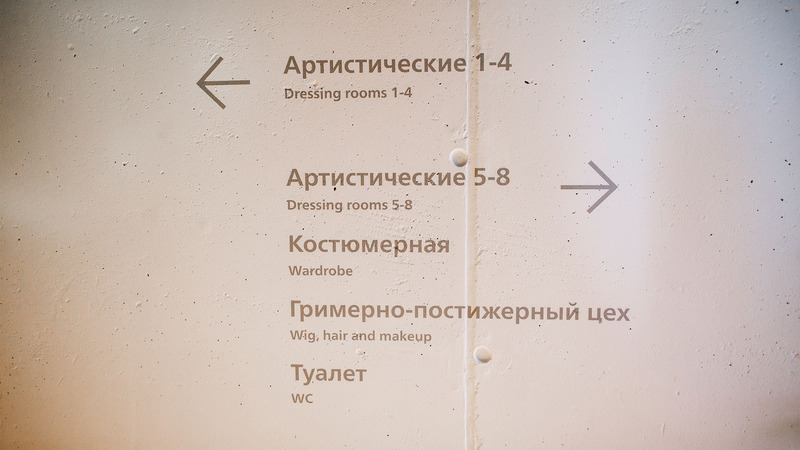 Wayfinding signage for the backstage areas had to be low-key and very logical, as those parts are mainly used by the theatre workers, who know the building quite well. 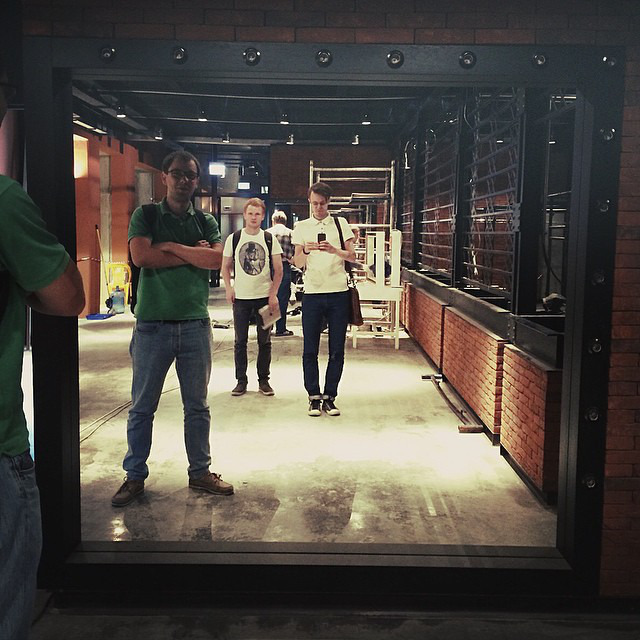 The first step was exploring the premises of the theatre that was still under construction. The floors, windows, some of the walls and finishing still had to be done. Research consisted of three parts. Making up a list of the main points that are important to the theatre visitors and employees. Analyzing the visitor paths to help define the placement of the wayfinding signs. Creating a list of terms that will appear on the signs. Results of the first phase: placement and content of the wayfinding signs. The visual concept that we presented was based on signage systems of factories, warehouses and other industrial buildings. It perfectly fit loft style interior of the new theatre. We considered 8 different typefaces and finally chose Frutiger that was designed for the directional sign system of Charles de Gaulle Airport. After selecting the right font we started working on icons and an overall style of the signage system, its size and proportions. 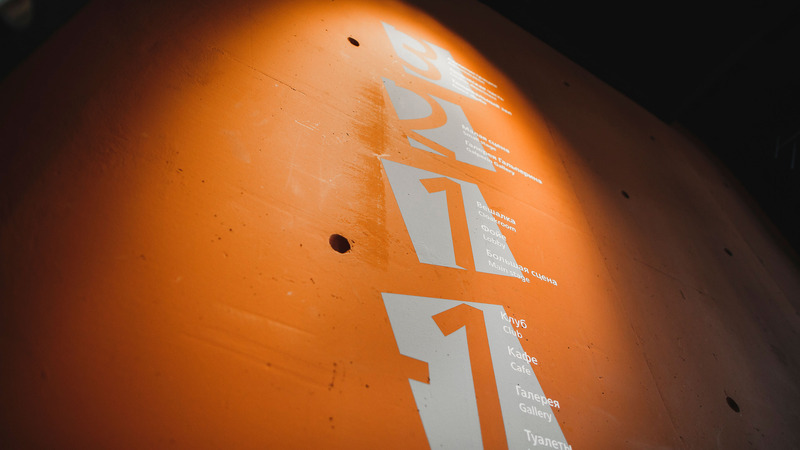 In addition to serving as a wayfinding system, the signage solution had to address the artistic component and refer back to the theatre history. By the end of the visual style development phase we created hundreds of files with various navigation signs. We printed them out on the huge sheets of paper and glued them to the theatre walls to test different font sizes, legibility and placement. The result of our work is in front of you. It may look simple, clear and obvious. Behind it lies hard work of our team. Installation of directional signs can not be overstated. We eliminated plastic and other cheap looking materials right away. We didn’t want to just fill up the space with signs: it was important to make the wayfinding system a natural part of the environment and even its decoration. Mikhail Bychkov’s thoroughness in selecting interior and exterior materials passed on to us and we were very strict, especially to ourselves. We talked to several production companies and eventually opted for a graffiti artist UN2ONE, who brought our mockups to life. 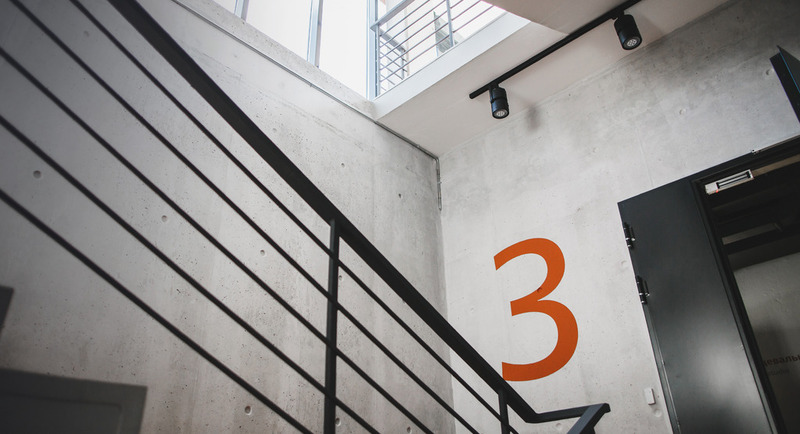 Before installing the signage system, we developed exploded views of each floor, which included all required sizes and spacings to help avoid misinterpretations. We monitored installation together with the theatre team and were deeply involved throughout the process. 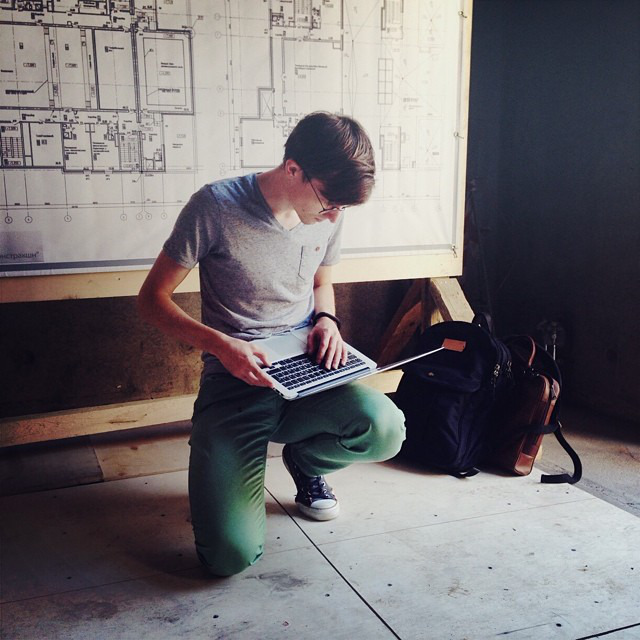 Dima Provotorov, the product manager, has everything under control. We also designed the concrete sign above the main entrance. "Voronezh Chamber Theatre is not a standard project. A lot of different companies and people were involved in its construction. Manufactura was one of them. Their team professionally and clearly understood our goals and requirements. Mikhail Bychkov, the theatre director, is a perfectionist; he always strives for the best possible results. 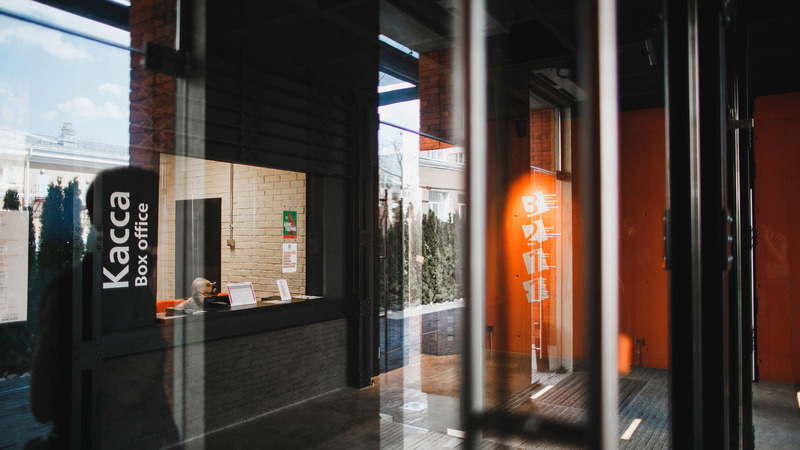 Managers at Manufactura were always polite during meetings and negotiations; they always responded quickly and didn’t mind several requests to make changes. 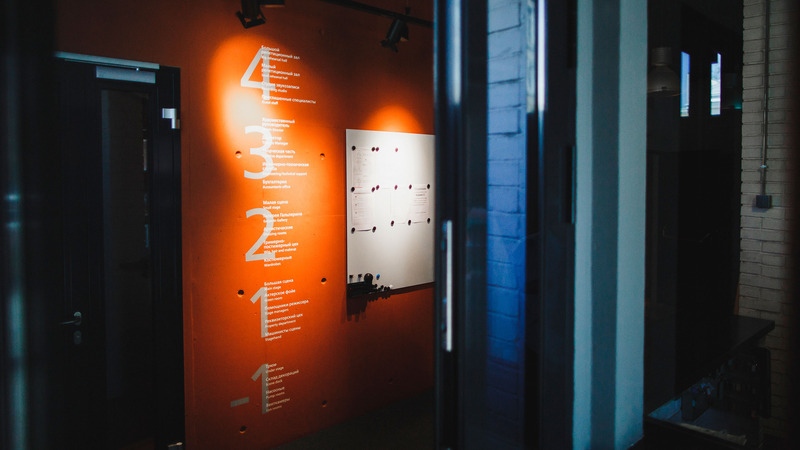 We started with font selection, looked at several options and settled on a good professional wayfinding solution. I like the result of our joint work. The signs are legible; we found the right balance when they are not too large and not too small. I believe they make navigation inside the Chamber Theatre easy and pleasant. Based on the rave reviews about the building architecture, in which navigation plays a very significant role, I can conclude that we achieved great results. The Chamber Theatre has become one of the most iconic places in our city." Easybank app for personal finance management. Add a new purchase in just 3 taps and the app will automatically geotag it. Manufactura challenged other web design studios from Voronezh. One logo is not enough to do the job, but a good logo is always better than a bad one. This one is good. As the saying goes, a journey of a thousand miles begins with a single step.